Medication during pregnancy: Drugs should be tested in pregnant women. Is It Safe to Take Medication While Pregnant? It isn’t unethical to test drugs on pregnant women. It’s unethical not to. Excluding pregnant women from drug trials on the basis of safety may actually endanger a greater number of pregnant women. When we were planning our honeymoon this year (which at that stage was already a babymoon), we had our eye on Burma. A friend lived in Yangon, and the country looked interesting. But parts of Burma have malaria that is resistant to chloroquine, the preferred drug for treating and preventing the disease. I asked my doctor about other anti-malarial medication, and she said there wasn’t enough existing evidence about other drugs to confirm that they were safe for pregnant women. We ended up choosing a malaria-free vacation destination instead and didn’t think anything more about it. But for pregnant women with chronic or newly acquired conditions, choices about whether to take medication and what kind can have real risks and consequences, and doctors are often in the dark about exactly what these repercussions are. With more women getting pregnant later in life, pregnancies are often accompanied by chronic conditions such as diabetes, asthma, depression, and lupus. In fact, a recent article in the Drug and Therapeutics Bulletin noted that at least 10 percent of pregnant women in the United Kingdom have a chronic illness requiring medication, and at least 40 percent of pregnant women in the U.K. take a prescription drug during their pregnancy. In the United States, this statistic is even higher, with 64 percent of women taking a prescription medication during their pregnancy. Indirect maternal deaths in the U.K.—those caused by a condition unrelated to but potentially aggravated by pregnancy—have almost doubled in the past 20 years. Some of these deaths may well be attributable to poor adherence to medication. Women who are expecting often take a cautious approach to drugs, especially because so little is known about their risks and benefits to their unborn child. Pregnancy was not always off-limits when it came to medication. Before the 1960s the placenta was generally thought of as an impenetrable barrier, protecting the fetus from contaminants. However, after 10,000 children were born in the late 1950s and early 1960s with birth defects as a result of their mothers taking thalidomide, opinion swung in the other direction. In 1977 the FDA excluded all women of childbearing potential from early phases of drug testing, a decision that was overruled only 20 years ago. The goal was to protect fetuses and pregnant women. The irony is, as an article in The Lancet points out, that the scale of the thalidomide tragedy could have been reduced had the drug been properly trialled. The lack of drug testing has led pregnant women (and the doctors who treat them) to a conundrum. Either they risk ditching medications they need or they take drugs that haven’t been specifically tested on pregnant women and could pose an unknown danger. This occurred with anticonvulsant sodium valproate, which was found to be associated with an increased risk of impaired cognitive function among children whose mothers took the drug while pregnant. On the other hand, studies have found that women who stop taking medications they need can be at serious risk, too. A study in the Journal of Allergy and Clinical Immunology found that 30 percent of women with asthma reduced or stopped their asthma medications in the first few months of pregnancy. A separate review reported that 6 percent of pregnant women with asthma are hospitalized for an acute attack. Furthermore, a third of asthmatics intended to stop or stopped taking inhaled corticosteroids during pregnancy, with 44 percent of asthmatic women revealing that they had concerns about the ways that asthma medication and asthma attacks would affect their baby. Anne Drapkin Lyerly, associate director of the Center for Bioethics at the University of North Carolina, co-founded the Second Wave Initiative, a project that promotes the responsible inclusion of pregnant women in biomedical research. She recalls a case in which a woman with severe asthma was taken off her medication by her doctor. She presented to the emergency room with a severe asthma attack. Instead of treating her, hospital staff tried to reach her doctor. The woman died. Lyerly and Ruth Faden, another founder of the Second Wave Initiative and the director of the John Hopkins Berman Institute of Bioethics, argue that pregnant women are often seen as just vessels, with their own health regarded as secondary to the health of their unborn child. This is particularly true in the case of pregnant women who take antidepressants, which some research has found to have adverse outcomes for the baby when taken throughout pregnancy. However, the needs of the baby and the needs of the mother should not be mutually exclusive. “If a newborn has a mother who has crippling depression, the infant also suffers,” Faden says. “The bottom line is that what we have is a really unfair circumstance. We don’t have as much evidence as we would like in medicine generally, but there is something profoundly wrong when we have one group in the population that has to be managed with far less evidence than anybody else,” Faden says. Her view is echoed in numerous studies, including a recent review of tuberculosis outcomes among pregnant women. The authors found that there is an “urgent need for research in pregnant and postpartum women” in the area of pharmacokinetic safety and the ideal timing for treating latent tuberculosis. Lyerly points out that the FDA doesn’t always approve drugs for every segment of the population, but the counterpoint is that pregnant women’s bodies function differently than do the bodies of women who aren’t expecting. That trial is the type of research that Lyerly and Faden would like see more of. They refer to it as low-hanging fruit, where pregnant women who are already taking medication are monitored through blood or urine tests, for example, and then followed up with after the birth of their child. “If we could simply make observational research a really high priority, we could get all kinds of useful, maybe not gold-standard findings, but useful findings about the outcomes that are associated with the different decisions physicians have to make,” says Faden. Currently there is what Lyerly describes as a “weird myopia” that causes researchers to miss out on the opportunity to study pregnant women. The National Children’s Study, for instance, is studying the effects of the environment on children from before birth to when they turn 21. “You have this cohort of 100,000 women who are taking medications and being exposed to things. There are health implications for women as well, and these aren’t being studied at all through the National Children’s Study,” Lyerly told me. Second Wave has spoken to the researchers in charge of the project, and there may be some opportunities to study pregnant women post-hoc. Steven Hirschfeld, the director of the National Children’s Study, said that the current proposal, which is under external scientific review, is to collect prospective medication exposure information from approximately 50,000 women. “We also expect to collect retrospective historic exposure in about another 50,000 women,” he said. Lyerly sees some cause for optimism that the situation is improving. She points to research into the use of drugs in children. Previously, children were, like pregnant women, therapeutic orphans of clinical trials and were treated like “small adults” for dosing recommendations. But two pieces of groundbreaking legislation, the Pediatric Research Equity Act (2003) and the Best Pharmaceuticals for Children Act (2002), have resulted in many labeling changes for the pediatric use of drugs. Perhaps pregnant women could be headed in the same direction. The FDA is cautious about the inclusion of pregnant women in clinical trials and has said that it needs to be done on a case-by-case basis. 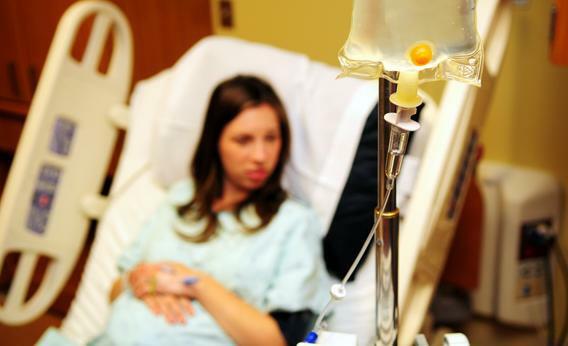 “Pregnant women are often excluded from clinical trials and, when women become pregnant during a clinical trial, they are often discontinued from the trial. Thus, at the time a drug is approved, the decision to prescribe it to pregnant women usually is based on animal data with little or no human safety data,” an FDA representative said in an email. But the agency has made strides in the right direction, by launching in 2009 the Medication Exposure in Pregnancy Risk Evaluation Program to study the effects of prescription medication on pregnant women. The first full MEPREP study is evaluating the risk of birth defects in children whose mothers were prescribed sulfonamide antibiotics during their first trimester compared with mothers who were not taking antibiotics and mothers who were prescribed other antibiotics during their first trimester. Trials seem to also be on the rise, with one 2012 study finding that 264 drug trials have been conducted specifically on pregnant women in the United States within two years of the study. The five most common drugs studied were vitamins, metformin, misoprostol, progesterone, and insulin. Internationally, the European Medicines Agency published guidelines in 2005 that provide criteria for the “active surveillance for collecting post-authorization data” of pregnant women who have been exposed to new or established medical products. The World Health Organization and the Joint United Nations Program on HIV and AIDS released a guidance document for ethical considerations in HIV prevention trials. It specifically calls for the recruitment of pregnant women in such trials. Lyerly was particularly excited when the National Institute of Allergy and Infectious Diseases began a trial testing the H1N1 vaccine on pregnant women, who are more vulnerable to the potentially pandemic virus. Some studies have claimed that women would be reluctant to enroll in clinical trials because of fetal safety concerns. However, Lyerly, who was working at Duke, where the vaccine was being tested, said that women were “beating down the doors” to be registered. One woman told Lyerly that she would rather be given the vaccine and examined closely than just have her doctor prescribe it to her and hope for the best.